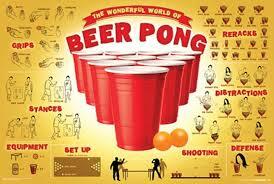 Books over BeerPong. I’m the girl sitting in a corner at a party reading her book. Occasionally lowering it to respond to some inane question or to throw my two cents in to some random topic that I may or may not care about. Or to scope the scene. One must always be aware of their surroundings. Particularly if there is beer involved. Should I be engaging with the people surrounding me? Many would say yes, me… I don’t really know. If my only reason for engaging is because others expect it or demand it of me then what’s the purpose. In that instance my participation isn’t genuine. The older I get the more I want to be authentically me. The more I want to be around people who accept and understand the Authentic me. I will no longer feel bad about being who I am. I will no longer surround myself with those who make me feel bad for being authentically me. 2014 Midterm Elections, Get Out The Vote! I Deserved That and Chances Are You Did Too. Lets Be For Real.